KeePass is a free, lightweight and easy-to-use password manager for Windows, Linux and Mac OS X (with ports for Android, iPhone/iPad and other mobile devices), that will help you to manage your passwords in a secure way. KeePass stores usernames, passwords, and other fields, including free-form notes and file attachments, in an encrypted file/database using very secure encryption algorithms (AES and Twofish). This file can be protected by a master password, key file, and/or the current Windows account details. By default, the KeePass database is stored on local file system (as opposed to cloud storage). 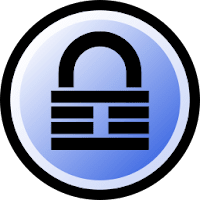 Disclaimer: Direct downloads for the lastest version of KeePass Classic 1.33 / Professional 2.36 are provided by the official software's author, we can't guarantee safety, availability or download speed. Moreover, we don't and we won't provide any pirated/illegal versions or tools. We recommend you to avoid it as these methods can harm your device. If you like the software, buy it to support the developers. (We provide software discounts for many worldwide brands).